Sage Northcutt not only earned his first win at welterweight on Saturday night but arguably had his best performance yet in the UFC. The 22-year old prospect, who is routinely hailed as the nicest person on the entire UFC roster, had to endure some early adversity from opponent Zak Ottow before rallying back with a stunning second round knockout in the co-main event from Boise. Ottow wasted no time throwing a big right hand in the opening exchange that definitely rattled Northcutt before the fighters ended up on the ground. The fight stayed on the mat with Ottow applying pressure with a heavy top game until Northcutt was finally able to work his way free with about a minute to go. Northcutt immediately began moving forward with rapid fire punches that stung Ottow and put him on the defense as he tried for a takedown. Northcutt quickly latched onto a guillotine choke before bringing the fight back down to the ground as he looked to get the finish but he couldn’t quite get the submission before the round ended. Following that scare, Ottow quickly moved in for a takedown to open the second round as he began pressuring Northcutt against the cage while trying to maintain control. Northcutt did a good job working his way back to the feet before unleashing a blistering series of punches that definitely had Ottow looking to take the fight back to the ground. Northcutt wasn’t having it as he kept the fight standing before unloading a beautifully timed straight left hand that blasted Ottow in the mush and sent him reeling backwards towards the cage. Ottow tried for a Hail Mary takedown but that left his head open for a barrage of hammer fists from Northcutt that rendered him unconscious as the referee jumped into stop the fight. The end game at 3:13 in the second round. 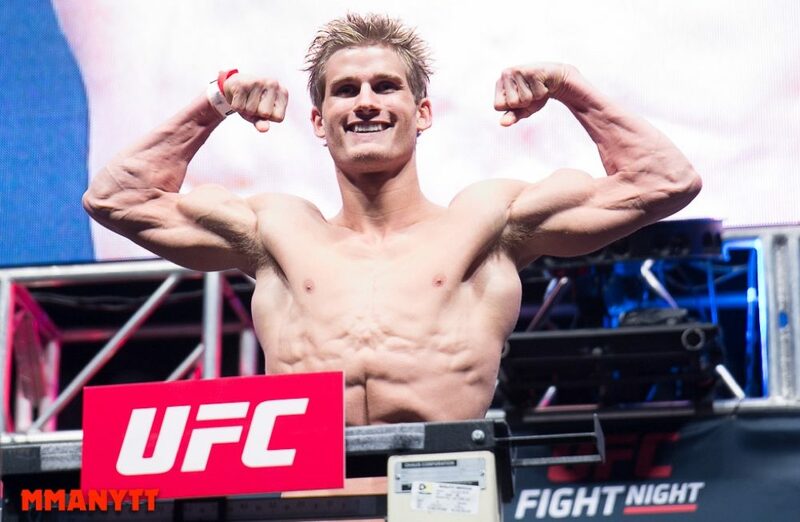 At just 22 years of age, Northcutt already has eight UFC fights under his belt and plenty of time to continue to grow and evolve now that he’s found a home at Team Alpha Male in Sacramento.